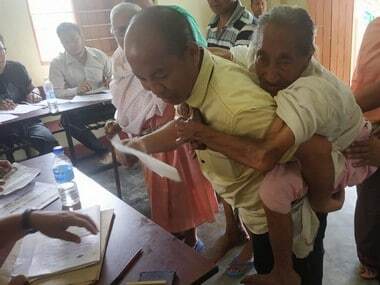 Days ahead of the last date of filing nominations for the upcoming Lok Sabha polls, North East India Development Party (NEIDP), a regional outfit from Manipur, is gradually beginning to make inroads at the grassroots level. It has already pulled off a political coup of sorts by managing to scoop five former Congress MLAs in Manipur. Congress’ RK Anand, E Chand, Dr Ng Bijoy, Dr I Ibohanbi and K Sarat have joined the regional party that was launched in December 2015. 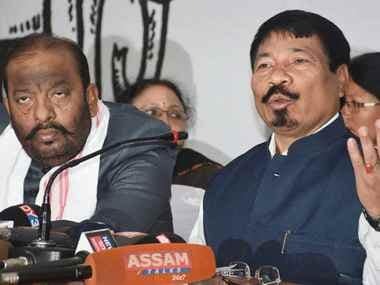 Congress sources said that it’s almost certain that the tickets for the Inner Manipur and Outer Manipur parliamentary seats will be given to Oinam Nabakishore and James Kashung. The AICC announced the two as its candidates from the two constituencies on late Saturday evening. Political observers said the grand old party strategically kept everyone guessing till the last minute with its choice of candidates to bewilder the Opposition on which way to go. On the same day, the NEIDP pulled out of the BJP-led Manipur Democratic Alliance, which counts among others the NPF, NPP, LJP and Shiv Sena as alliance partners, reducing the number of its partners from 11 to 9. The Trinamool Congress had pulled out days earlier. A Congress worker close to the Manipur Pradesh Congress Committee president Gaikhangam said the party is heaving a sigh of relief after the exit of the five leaders, as it was proving difficult to accommodate them. “Their contribution to the party and the people of their constituencies is nothing to be proud of,” he said. What led to the exit? MPCC general secretary Meghachandra Keisham said the five Congressmen left the party because other prominent leaders have joined the party in their constituencies and they were apprehensive of not receiving the party ticket in the next Assembly elections. "We are not retaining the earlier candidates as we faced an anti-incumbency factor. We have to read the public mood and project prospective candidates with more chances of winning," he said. Political expert Leihaothabam Sharat Sharma said the exit of the five Congressmen was a well-calibrated move. According to him, NEIDP is a young entrant in the political scene of Manipur and has created a lot of buzz in a short time. 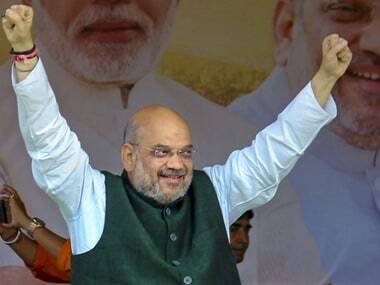 “It has an increasing support base but lacks leaders with vast political experience,” Sharma said, adding that the exit of the five MLAs was a politically expedient decision taken at the right time. “It is part of the game in politics and they have become politically relevant again. If they would have continued with the Congress, it would have been mutually destructive for both of them. RK Anand and Ngarangbam Bijoy, who were vying for the Congress ticket, perhaps knew that they would not succeed. The Congress chose to ignore the immense resources they possess in their areas of expertise, and did not consult them in decision-making," Sharma said. It was initially assumed that the CPI’s M Nara would enjoy a free ride in this Lok Sabha poll, as the Congress, which won the inner seat thrice in a row, has to deal with the anti-incumbency factor and the incumbent MP’s track record during the last 15 years. “The BJP, as we know, is not very popular at the moment, especially among those between the ages of 18 and 29 years. It was expected to be a three-way contest, but RK Anand might pose a major challenge with his fair share of loyal supporters," Sharma said. Elangbam Chand, one of the former Congress MLAs who shifted their allegiance to the NEIDP, laments that there was little space in the party to express their views as they were forced to wait for instructions from national leaders. The former Yasikul Assembly constituency MLA said the five of them decided to leave the party as they felt that they must be given a chance to decide the future of their people and not the ones sitting in Delhi. 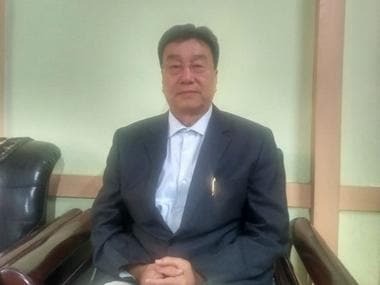 RK Anand, the NEIDP candidate from the Inner Manipur parliamentary constituency, said the people of the state have always felt neglected and discriminated politically. A senior NEIDP leader said their party is not only focusing on meeting the social challenges in Manipur but, as its name signifies, all the eight states in the region, including Sikkim, by presenting a unified political force. "Initially, we are fielding two candidates for the inner and outer seats in Manipur and contesting the polls in a free and fair manner without spending a single penny. We are testing the political waters and studying the people's mandate,” he said. Social scientist Dhanabir Laishram says that there is a muted but discernible demand for more federalism. "The NEIDP was launched with the idea of creating a strong, credible and regional political force in the North East, which may, in the future, win 20 or more seats out of 25 in the region. It is gradually making inroads in several states of the North East and making its presence felt,” he said. On the five Congressmen, he said they are intellectually inclined politicians who were sidelined within the party. “Moreover, national parties impose their interests on smaller northeastern states with few MPs. With the Citizenship (Amendment) Bill issue, a sense of regionalism has increased in the North East," Dhanabir said. Dhanabir opined that if Ng Bijoy was desperate to contest the Lok Sabha polls, he would have asked for it but instead, he had proposed RK Anand’s name as the party's candidate. “It was years of accumulated discontent which led them to desert the Congress. It is much more than the ticket issue," he said. 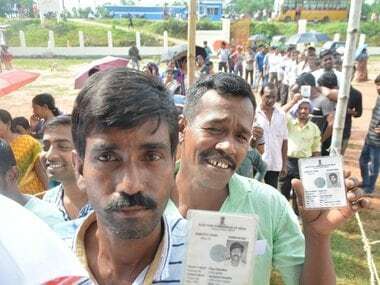 On the contest in the outer parliamentary constituency, the social scientist said the eight unreserved Assembly constituencies, which are among the 28 Assembly constituencies comprising the outer seat, will be the deciding factor. "Nagas will vote for Naga candidates. Kukis will go for Kuki candidates. The majority of voters in these eight constituencies will prefer a NEIDP candidate. When NEIDP declared Ashang Kasar as its candidate, the NPF didn't object, which meant that underground outfits didn't have any issues with his candidature. He has the approval of the church and has worked in close association with the people at the grassroots level. So if there are free and fair elections, NEIDP candidates can win, but if it is business as usual, the regional party doesn't stand a chance as it can't take on the financial might of the Congress and the BJP," Dhanabir said. Unhappy with the developments, a grassroots Congress worker, on the condition of anonymity, said the BJP is now firmly placed and the Congress will have to pose a unified challenge to the saffron party to win elections.